Let’s look at the pen in detail today and save the ink for another day. 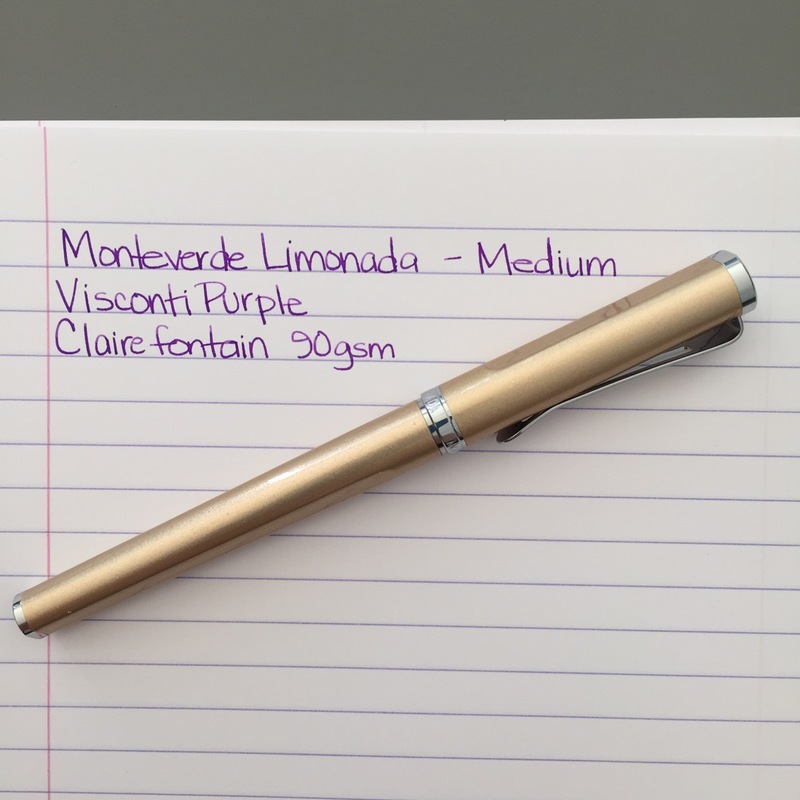 The Monteverde Limonada in Roma Gold is a rich satin-finished champagne color and it’s easy to see why it’s Margaret’s favorite color. It is only available with a medium nib. 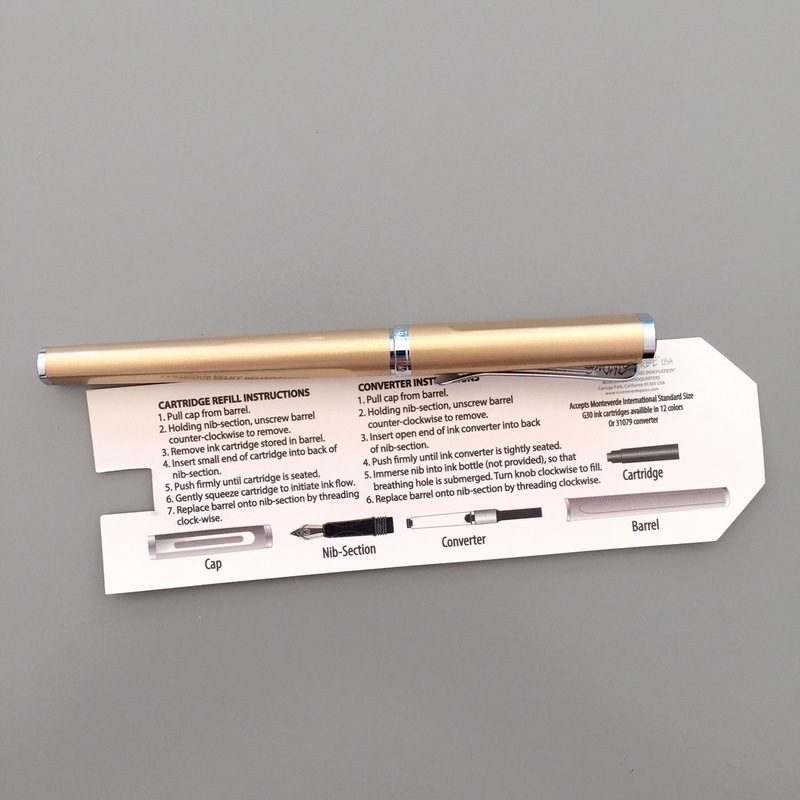 The pen arrives clipped to a detailed instructional sheet inside the thick paper/board box shown above. It also comes with an converter and two standard international short cartridges – one blue, one black. I love the detailed instructions. The Limonada is definitely on the slender side. The grip/section is shaped similarly to the Lamy Safari / Al-Star. These two things make me think this pen isn’t for everyone – especially those with larger hands. I didn’t find it uncomfortable, but it was perhaps a bit unbalanced when the cap was posted. The clip is flexible and positioned quite high on the cap. When clipped in a shirt pocket, it rides low rather than poking up out of the pocket. The clip is also flared at the end – making it easy to slide onto a stack of papers. Clairefontaine ends with an “e” – everyon knows that. But how does it write? At $28, the Limonada is a good value. I love that the converter and two cartridges are included. 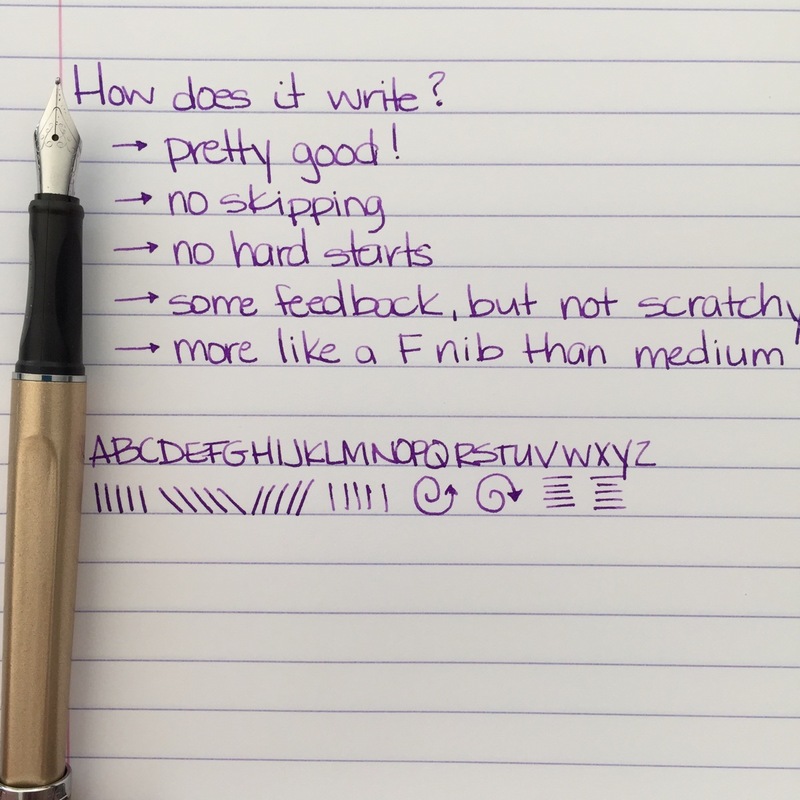 It writes well and I like that it comes in several different colors. Having said that, this pen won’t replace my inexpensive pen of choice – Lamy Safari. 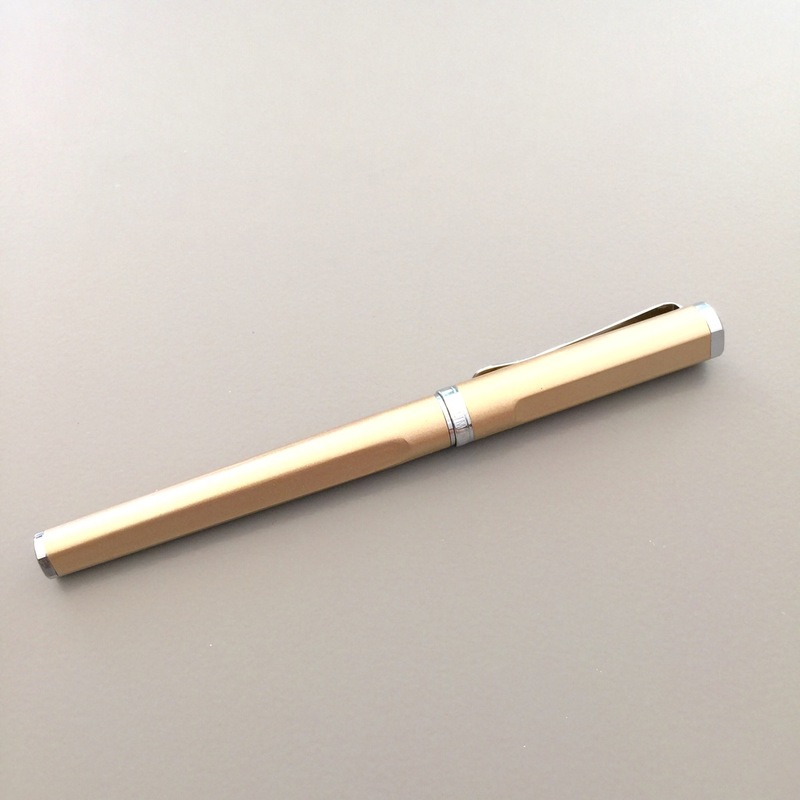 The Safari is $29.60 at Goulet Pens and does not include the converter. 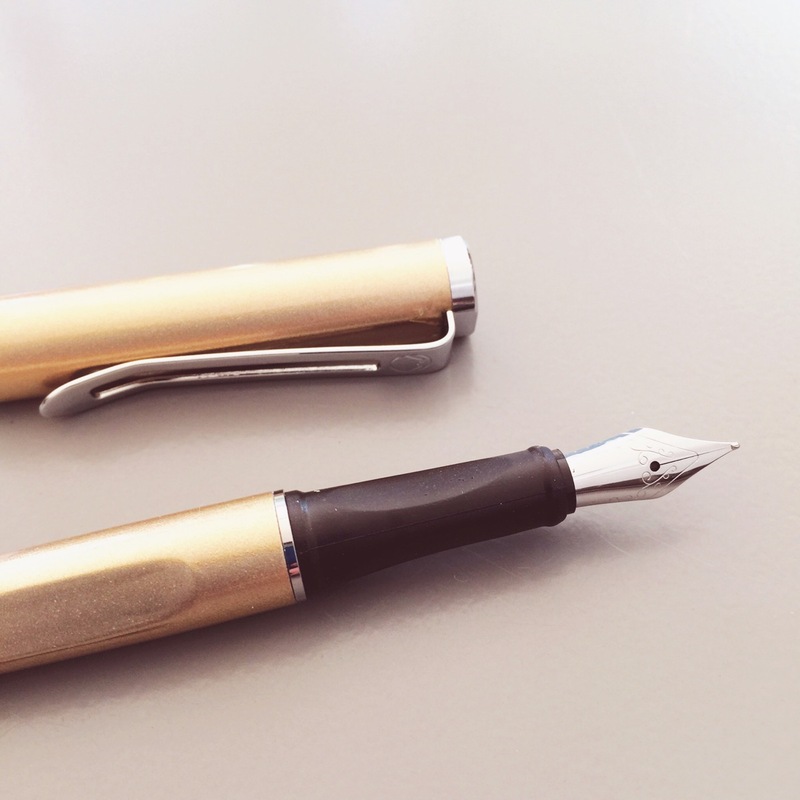 My other low-cost pick is the Pilot Metropolitan at just $15 (converter included). 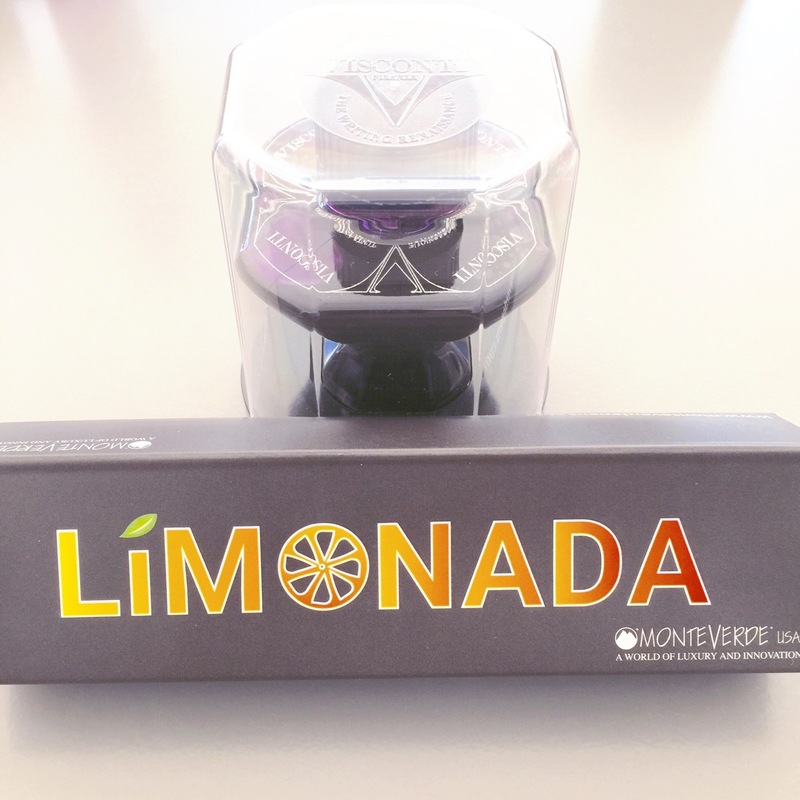 Thanks to Goulet Pens for the opportunity to try the Limonada. They sent it free of charge and I promised to give my honest opinions. Keep an eye out on Instagram for more pictures of this pen and ink in use. 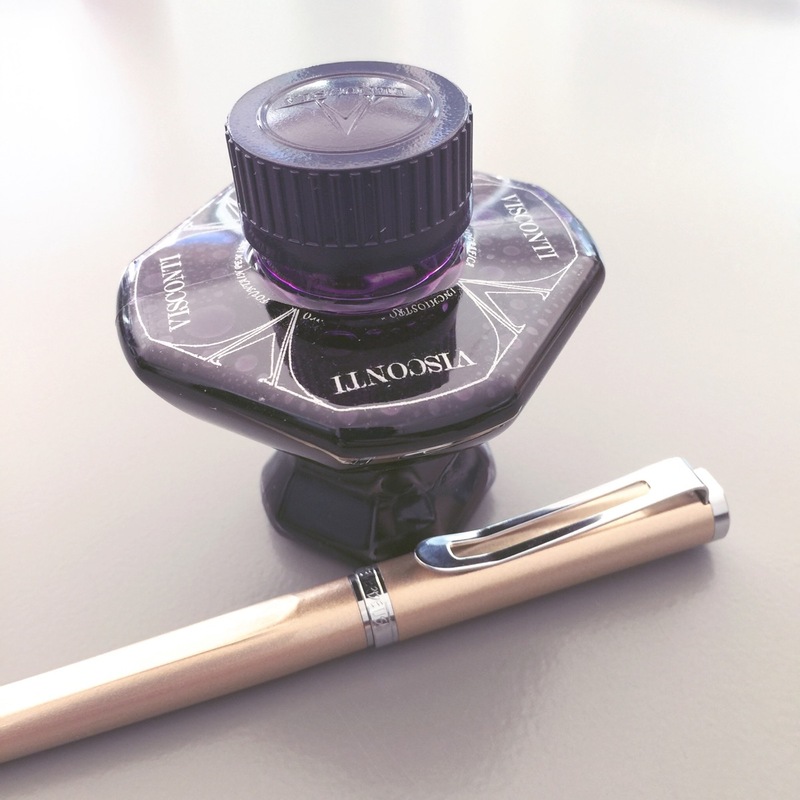 This entry was posted in FOUNTAIN PENS and tagged fountain pen review, goulet pens, monteverde, sponsored by Christine (Pentulant). Bookmark the permalink. Thank you for the review! I absolutely love the look of this pen. 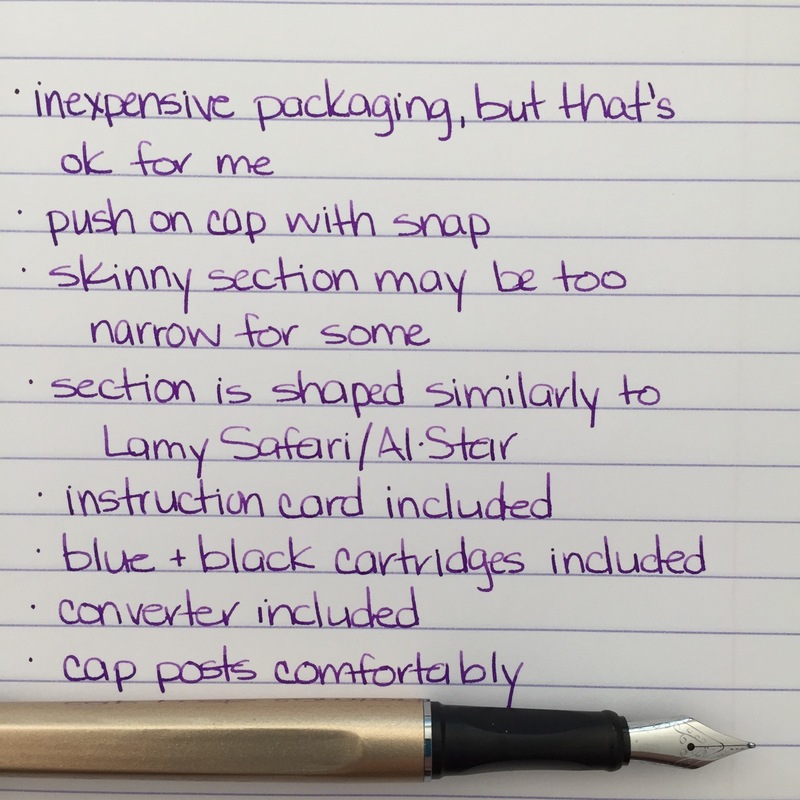 I had a rough experience with my Lamy Safari cap coming off the barrel in my pocket and Ebony Green leaving a big splotch in my right pocket. So I can’t carry it anymore and was looking for a cheap alternative! Maybe I’ll consider the Pilot Metropolitan as well, however I’ve always liked the look of the Limonada. The cap on the Limonada is definitely secure and tight-fitting, Dustin. It pushes on firmly and ends with a satisfying click. The Metropolitan is an excellent choice. The converter that comes with it can be a little finicky – just make sure it’s well-seated in the pen and you’ll be good to go!